Course Overview: The NEBOSH International Diploma offered as e-learning by Green World Group is designed for individuals who are looking to progress their career in health & safety and to develop the international knowledge and skills in order to become an international health & safety practitioner. All occupational health & safety practitioners (OHASPs) need to have a common core of knowledge in order to practice effectively. The NEBOSH International Diploma in Occupational Health and Safety provides the knowledge and understanding that fortifies competent performance as an OHASP. There are no prerequisite entry requirements, though it is recommended to complete the International General Certificate first. The qualification itself is – approximately equivalent to third year degree level – and therefore candidates may find it a challenge if they do not have this background knowledge and/or the ability and application to study at this level. The examinations are held twice each year, January and July, and comprise of one 3-hour written paper for each of the core units (A, B & C) (three 3-hour examinations in total). Students must complete a workplace based assignments for unit D. Only students who have enrolled with NEBOSH through an accredited centre are eligible to register for the examination. Exam Sitting Fees: With the exception of candidates enrolling to sit for exams in UAE and India, there would be an additional exam invigilation fee that needs to be paid by the candidate directly at the local British Council center to the approved exam testing center. 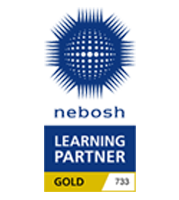 By completing the NEBOSH IGC course prior to undertaking this qualification, you will have better underpinning knowledge of the core subject; therefore ensuring you are better prepared for your NEBOSH International Diploma studies and potentially help increase your pass rate!